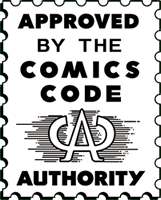 For comics, he is perceived as the ultimate – if inflated – authority on artistic integrity, ‘The Grand Poobah of Comedy’, as Al Murray has dubbed him. Stewart Lee, for his part, thinks the title both unfair but understandable… not to mention ‘really funny because it has the word “poo” in it’. Understandable because this, after all, is a stand-up who in the new series of his Comedy Vehicle on BBC Two, feigns irritation that the only audience member to semi-comprehend his reference to Ben Fogle’s Animal Park leaves the recording to go to the toilet. The incident captures ‘a flavour of the chance element of what can happen in a live show’, Lee says. ‘I’ll seize upon anything that humiliates me, makes it look like a struggle or lowers my status. Never mind that Saturday’s episode of Comedy Vehicle attracted a million viewers, more than double the average for the second series, with a significant boost expected when iPlayer figures are factored in. Measured against Mock The Week, that’s still modest he points out. And even taking into account media and comedy fans’ interest in his opinions, he maintains that ‘I don’t have any credit in the straight world. I’m not known or rated. In fact, the people that have vaguely heard of me, assume that I must be terrible… To be honest, I’d rather keep it that way. Comedy Vehicle’s return was hastened in part because of a routine about UKIP in tomorrow’s episode, which had to air before April 11 to comply with BBC rules on not broadcasting political satire too close to the European elections. An intimidatingly articulate, perceptive and forthright commentator; an aloof victim of misconceptions; a mad, embittered clown, Lee may be the ‘cultural bully’ of the ‘Oxbridge mafia’ Lee Mack alludes to in the footnotes of his autobiography. What is certain however, is that he opened the new series by inferring the slight referred to him and damning himself by comparison to Mack’s compliment of Daniel Kitson as a comic who could ‘cut the mustard’ on panel shows. He is perhaps his own harshest critic because he absorbs criticism so voraciously, going as far as making it a defining part of Comedy Vehicle. When Armando Iannucci’s commitments on Veep prevented him returning as the ‘hostile interrogator’, the caustic Chris Morris was handed the role, alongside his existing one of script editor. The effects of the interrogations are ‘interesting’ he muses. ‘Armando’s are really playful and really funny, Chris’s have an air of menace and seriousness about them that I think forced me to respond differently. He humiliates me a lot more, which is probably good in some way. He allows me to be much weaker. ‘I wish he could have gone further really. At the end of week six, I got to the point where I kind of got into hysterics and I wasn’t really sure whether it was hysterics of laughter or just stress… we did this for about four hours. You have to really keep tuned in, you’ve got no script or anything. The last minute-and-a-half of the series is me having a kind of breakdown really,’ he cackles. Lee has forged something of a schizophrenic persona. On stage, he snipes devastatingly at other comics, while in person admitting that he either doesn’t know them or their work – or likes them. He elegantly denounces Twitter as ‘the Stasi for the Angry Birds generation’ while restlessly monitoring his reputation online. Forget Baconface though, the Canadian 80s comic alter-ego he originally conceived as a programme-associate for Comedy Vehicle. Because he doesn’t feature in the series. Baconface was also filmed doing stand-up for the imminent second series of Comedy Central’s Alternative Comedy Experience, which Lee curates, but deemed ‘unbroadcastable’. Remaining committed to his mad, embittered clown side has a personal cost for Lee. He has ‘to be true to him, because he’s not as reasonable as me. I wouldn’t have as much material if I only did the things that I thought were funny. I have to sometimes respond to things in the way that he would. ‘I might see something and think, “well, it’s not that bad that”. But it would really annoy him… He’s sort of like a throwback to me, 10, 15 years ago, 25 years ago sometimes. So sometimes, I have to go with what he wants to do. Even when it ends up making my life difficult. ‘Although there’s a lot of stuff about politics and real life and society in my act, I’m not like Mark Steel or Mark Thomas where we’re invited to see it as a rational, intelligent, informed commentary. When he returned to live performing in 2004 after a break, Lee says he ‘felt I had to stop caring about the perceived stand-up audience, which at the time after Newman and Baddiel and Fantasy Football and all those sort of things, was sort of mainstreamy lads. I felt it was really useful to not worry about that and to be able to say “look, this stuff’s for the other people”. I still think it is. However, having moved beyond his ideal audience of ‘someone who lives in Stoke Newington and is about 45’ – as he does and is – he marvels at his fans’ increasing diversity, from Muslim girls in headscarves in Salford ‘slightly calling my bluff on how comfortable I was doing stuff about religion in front of a religiously diverse audience’, to ‘young, sort of twenty-something sports blokes on cocaine’. Despite his playful excoriation of the self-loathing middle-classes, the idea that he only preaches ‘to a load of Guardian readers’ is false he argues, demonstrated by an emerging problem he’s facing. ‘I’ll do 20 minutes on UKIP and everyone’s laughing’ he explains. ‘Then at the end, a guy with a Thai wife will come up to me and say that he’s a UKIP voter and will always vote UKIP. But he thought the bit was really funny. [Which is] interesting. 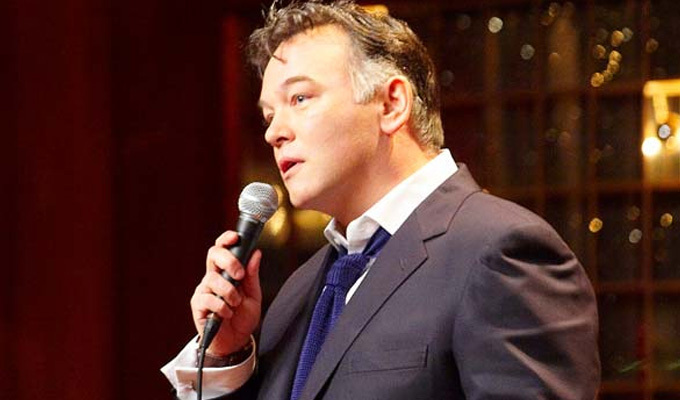 Journalists, including myself, have misinterpreted him in the past, failing to convey precisely what Stewart Lee the mad, embittered clown intends, and where it converges or departs from the real him. He also observes that a recent, highly critical newspaper review actually led to a spike in sales for a live show because ‘it was so mad that it reminded people I was on and they wanted to go and see it’. Still, he was concerned that ‘to be described as a psychopath … not reflect[ing] the experience of any of the other people there that evening’ might affect the way people treat his children. After the backlash against Jerry Springer: The Opera, he expects that ‘it’s probably worse for someone like Frankie Boyle who’s routinely the subject of folk-devil panics in tabloid newspaper. I’ve no desire to be that again because I’ve got a family that suffered by association’. At one point, he voices concern about failing to anticipate the attention Morris’ new role might bring the fiercely private satirist, held in semi-mythical esteem by so many comedy fans. And he was ‘slightly irked’ by the swathe of recent hagiographic tributes to Bill Hicks on the 20th anniversary of his death, penning his own satirical analysis of the press coverage in the Observer. He stresses ‘let’s not underestimate how brilliant [Hicks] was, and he was absolutely fantastic’. But he criticises those journalists who would set the late American on a pedestal as ‘not close enough to the ground’ of the current UK and Irish comedy circuit, ‘which is absolutely amazing… the quality of the stuff is fantastic’. He is, he maintains, lucky that of all the accomplished acts that ‘write full-length shows, go back to the Fringe every year and does that kind of stand-up’ he is the only one given the platform to bring his routines to television, without having ‘to try and squeeze it into six minutes or chop it out into something that would fit on a panel show’. ‘Probably because I’m part of the “Oxbridge mafia”,’ he deadpans. Lee is frustrated to see shows like Live at the Electric appropriating Comedy Vehicle’s moves, such as him talking down the camera, or the camera now lurking at the back of the stage on Michael McIntyre’s Comedy Roadshow and Live at the Apollo. ‘I’m not saying we invented that’ he says. ‘But when I mentally choose the shot, to use the camera at the back of the stage, it’s often about me turning my back on the studio audience, like ignoring them because I don’t think they’re good enough. So there’s some kind of dramatic impetus to it, which there often isn’t when it’s just used as a stylistic device. ‘And also, when I talk down the camera, I’m normally trying to say something specific to the viewer at home. Or it’s supposed to have a particularly personal note. Or it plays off the audience in the room and their strengths and weaknesses against the assumed strengths and weaknesses of the audience at home. He momentarily imagines stealing a few stylistic devices from the big, shiny floor stand-up showcases, envisioning a Live at the Apollo-style shot of the ‘not really celebrities’ who attend his gigs, namely Will Self, Grayson Perry, Geddy Lee from Rush and Robert Wyatt from Soft Machine. Comedy Vehicle’s fourth series is set to record in December 2015, to air sometime before April 2016. And he’s committed to making it for as long as the BBC wants it, subject to it remaining cost-effective and lucrative enough. Or not becoming too popular. ‘If too many people watch the series I imagine the impact on my life and that of my family would not be compensated for by the size of the fee, which doesn’t give us enough money to live a sheltered, protected and removed Jonathan Ross lifestyle’ he reasons. ‘If too many people start watching I will stop doing TV and just work live and hope people forget me, but at the moment I don’t know how many too many is. I suppose it partly depends how many of the people that know who you are hate you and want to harm you, and how weird the ones that like you are in large numbers. He says he gets ‘asked about doing docs for BBC Four and Sky Arts but the things I want to do always get knocked back, or they try to change them into something else which they imagine will be more popular. ‘The doc I did for Channel 5 in 2004, New Puritans, was retitled without my knowledge or permission as the idiotic Stewart Lee Says What’s So Bad About Blasphemy?, which I never did say, and wouldn’t have said, and which didn’t reflect the measured tone of the piece. So with all the ‘ambition to write fiction or scripts or do theatre … knocked out’ of him, he plans to focus wholly on stand-up, writing a new show every two years until he’s 65. ‘The government will probably make it impossible for the BBC to make shows eventually. And also, as television budgets shrink, it actually won’t make sense to give that amount of material away to television when you could tour it.